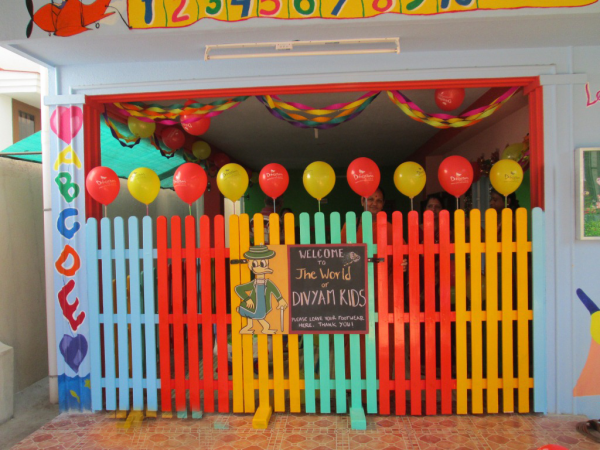 When Imagination begins … A Genius is born! 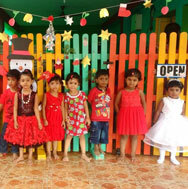 8th year Admissions for 2019 is Open from Nursery to Grade 3 . 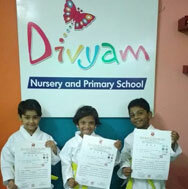 We will promote students every year. 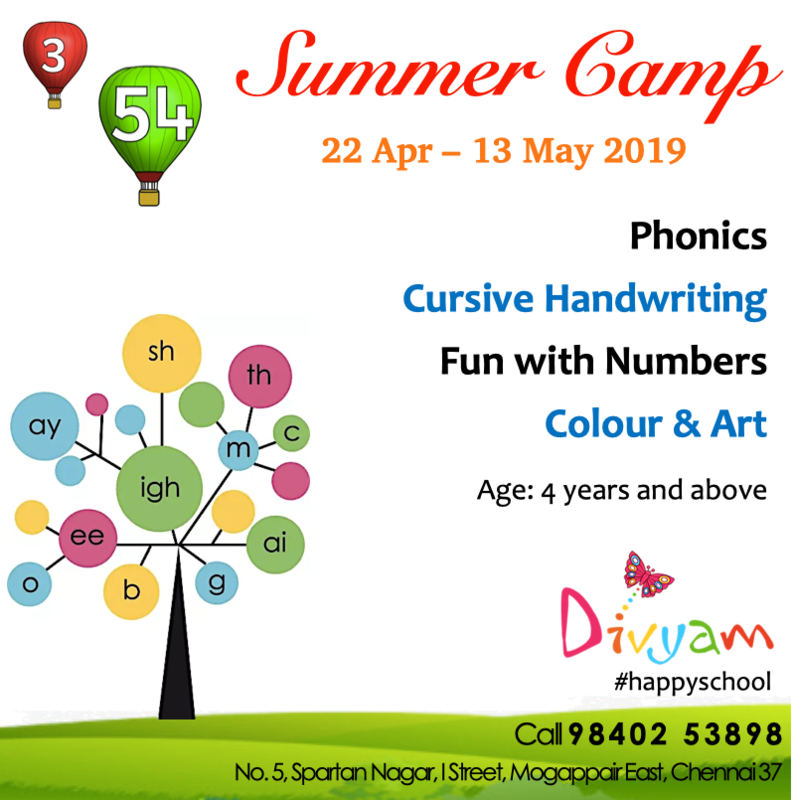 Divyam School, Mogappair East will function as the campus for this academic year. 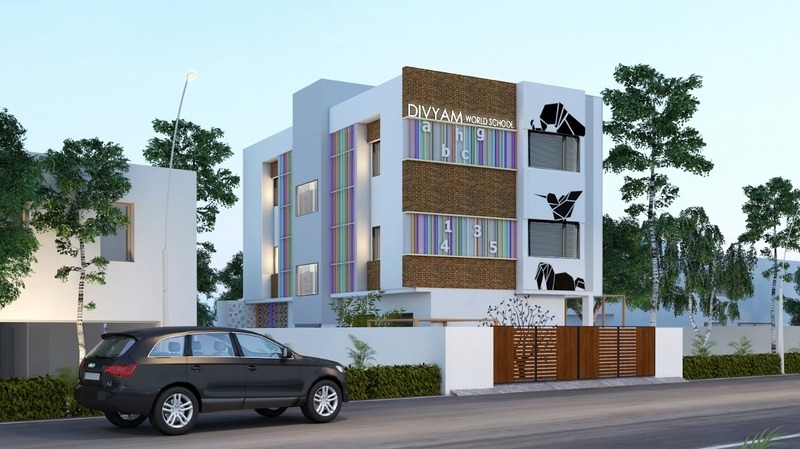 Our Phase 1 block in Nolambur is under construction . 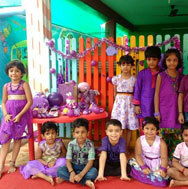 Our Current campus is located at: Divyam Kinder Block No:5, Spartan Nagar, 1st street, Mogappair East, Chennai-600037. 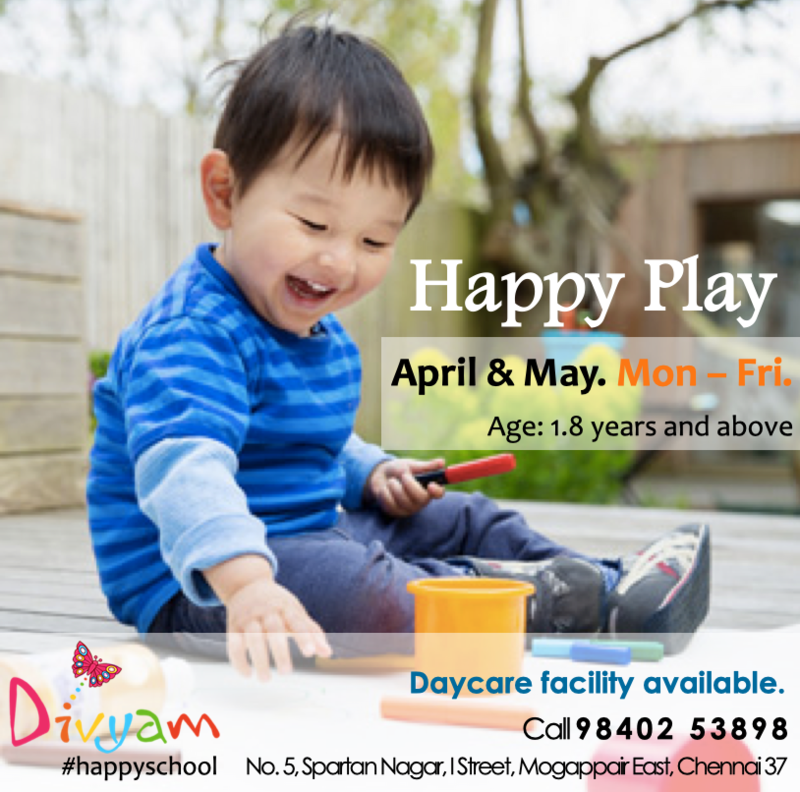 Divyam provides fully functional Happy Play Time & Daycare till 6pm. We achieve academic excellence through the development of intellectual curiosity, personal accountability and love of learning. Our comprehensive program and exceptional faculty help students discover and develop their unique talents.